As modern mommas, our summer schedules tend to be jammed-pack full of activities, family outings, and enjoying the sunshine and warmth as long as possible each night (We LOVE the longer days here — #AlaskaLife). This is why when we use it, we aim to make our entire meal right on the grill. It makes for easy cooking and a quick clean up for busy mommas. First, pick your protein, we love bison or moose burgers! Then, pick the veggies, typically anything in season tastes delicious with the right seasonings~ garlic, oil, and lemon juice keeps things simple. Of course, the sky’s the limit, girlfriend! This grill basket is perfect to cook all of your veggies, and again is an easy clean up without lost veggies down in the grill due to a hole in a foil packet. A meat thermometer can be super helpful! Don’t let grilling meat intimidate you, sister. Of course we don’t want to serve anything under cooked and risk getting sick, but we do want to cook all meat to optimal temperature without over cooking and losing FLAVOR. With these three steps, grilling is that straight-forward mama, you’ve got this. See you out on the patio! 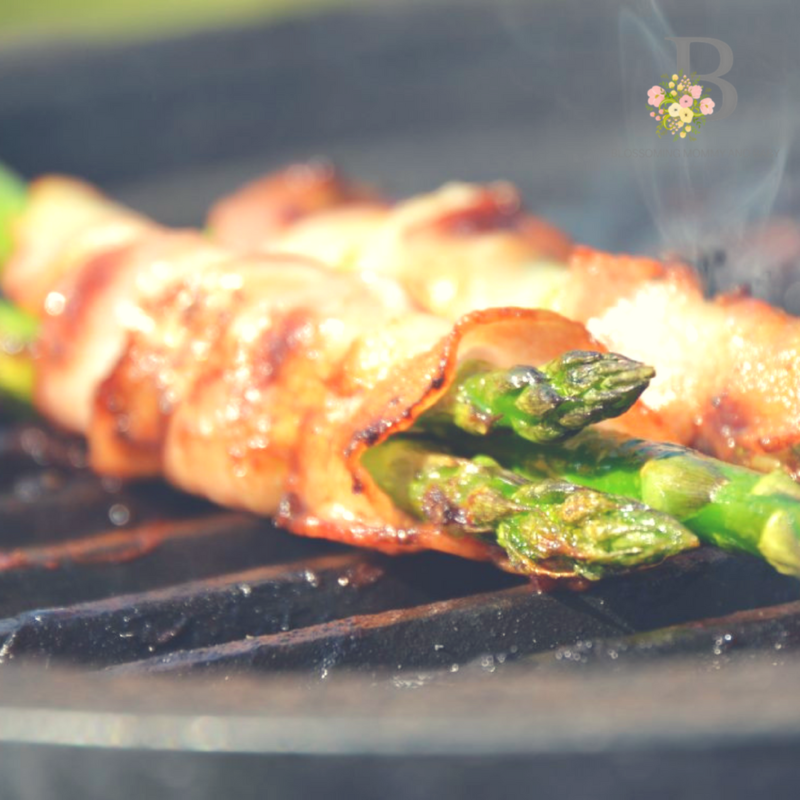 Share your grilling adventures and tag us at #blossomingmommyandbaby. I’m so excited to see what you mommas come up with and accomplish on your grills! Creating A Stress-Free, Simplified Morning Routine!